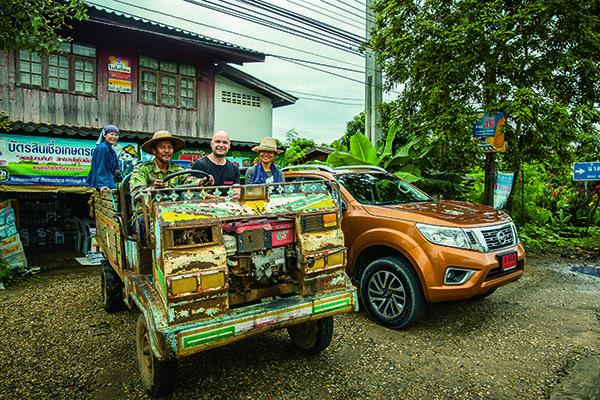 Two days spent driving pre-production models at the global launch in Chiang Mai, Thailand, was enough to prove that the newest Nissan ute is far more civilised and capable than the last. Our time in the seat showed the next-generation Nissan hauler should challenge the current best-in-class tow tugs for both capability and comfort when it arrives. Thankfully, for those with a weakness for grander vans, the newest Navara will have a tow rating of 3500kg, some 500kg more than the last and enough to match the big boys. 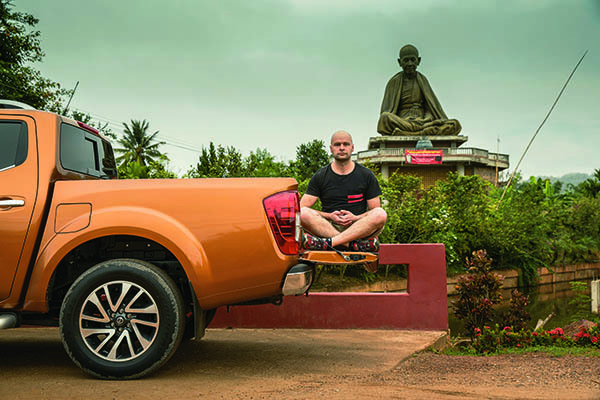 It will also be the first volume selling crew cab ute to feature a multi-link rear suspension system using coils, as opposed to the more agricultural leaf spring setup. Single cab and cab-chassis Navaras will retain the cheaper leaf spring rear end. Nissan says there is no difference in load capacities of the two suspension systems, but explains that the coil-sprung multi-link system has been installed to improve the ride quality of the big ute, especially on less-than-perfect roads. 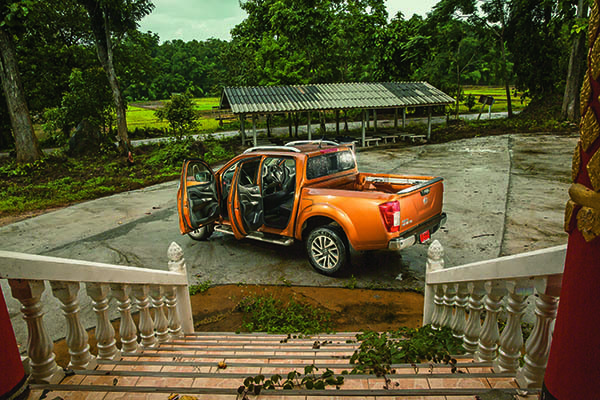 Nissan is yet to name the payload of the various Navara models, but insists all of them will be able to lug at least 1000kg. 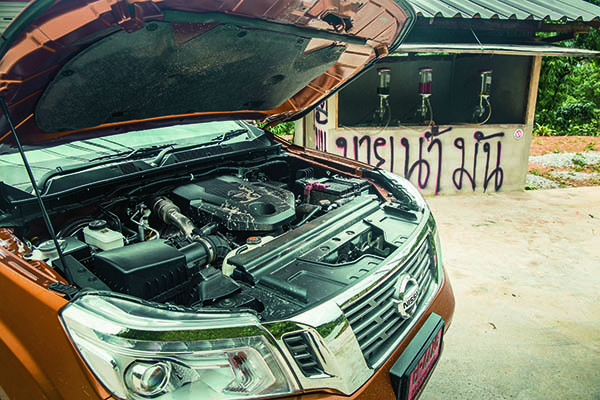 We did more than 750km in a top-line dual cab ute on some of Thailand’s best and worst roads and the Navara rode extremely well. It is softer than some crew cabs, which means it does a better job of absorbing a lot of the big bumps. It promises to be a good tow car, thanks to a new 2.3L four-cylinder diesel with not one but two turbochargers. This is the latest generation of diesel engines developed by Renault, which is part of the same family as Nissan, and will also serve in its heavy-duty vans. The new engine makes exactly the same maximum power (140kW) and torque (450Nm) as the 2.5L single turbodiesel of the last generation. However, the ute drives better because more torque is available lower in the rev range. It is possible to leave the engine in a higher gear and just let it work away, using the smaller of the two turbos. You can still tell this is a diesel, but it is quieter than the old 2.5L engine, both at idle and when moving. It is especially refined at highway speeds and hardly seems to be working at all. Nissan is yet to release an official fuel consumption figure for Australia, but we found it used just 8.6L/100km on our long test drive (which did include a fair bit of highway cruising). There will also be a more affordable version of the same engine, which uses a single turbo (a variable geometry unit) and makes 118kW and 403Nm. The standard transmission is a six-speed manual, while a seven-speed automatic will be available as an option. The manual is easy to use, not cumbersome like some of the commercial boxes out there, and has a relatively light clutch. 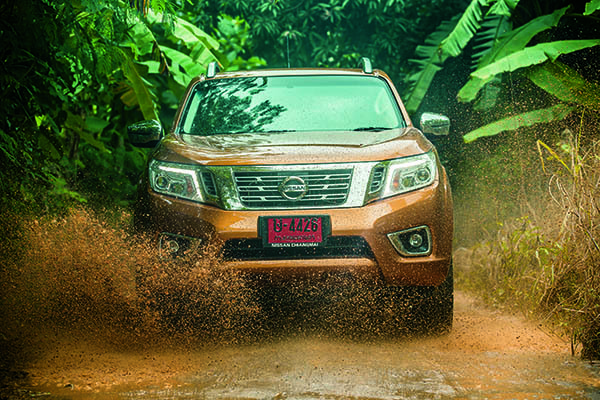 The clutch setup and idle speed means the Navara can walk slowly away from a stop, making it really easy to drive at low speeds on bitumen and on the dirt. Of course, an even easier option is to pick the automatic which is, thankfully, a torque convertor type rather than a dual clutch unit. It seems to make smooth gearshifts and is quite responsive. 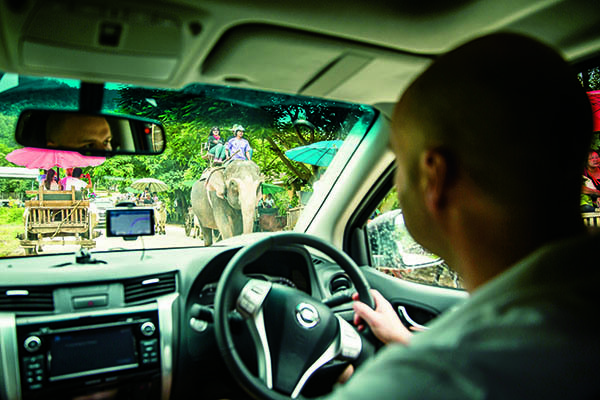 The only problem on our test drive was posed by its tendency to shift up early and often, in a bid to limit fuel consumption. Unfortunately, this meant the engine lugged away at a lower rpm than it really should have, and made an unpleasant booming sound. There is always the option of flicking the shifter into manual and dropping a gear if it gets too annoying. The suspension held up well over some extreme surfaces and there weren’t any nasty bumps or rattles through the steering wheel. As for the steering itself, it is fairly heavy and vague, which could frustrate some customers. That said, you can certainly change direction in a hurry if you need to. I found this out when I came over the crest of a highway to find two tanker trucks heading towards me, with one of them in my lane. Thankfully, I was able to dart into the emergency lane to avoid a head-on. 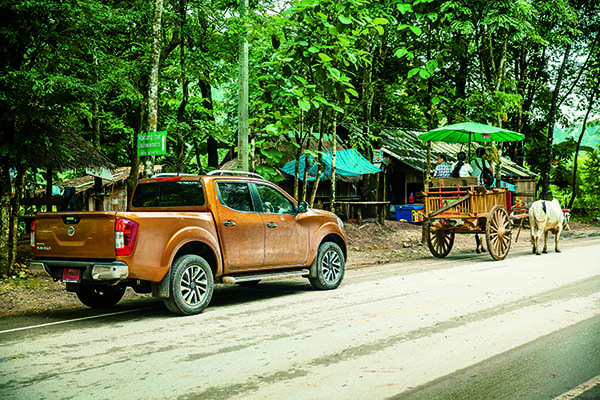 We’ll have to wait until the new Navara arrives here to really put it to the test, but early indications are that Nissan has built a serious load-hauling dual cab that is more civilised than ever before. 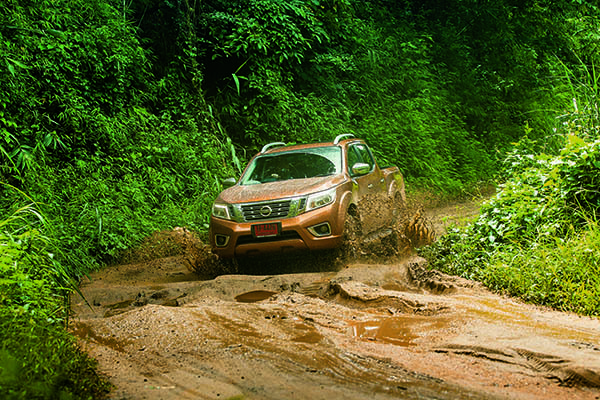 Note: at the time of going to print, Nissan had not confirmed the new Navara’s price, warranty or payload for Australian models. The full test appears in Caravan World #535 March 2015. Subscribe today for the latest caravan reviews and news every month!